Puebla (Mexico), 22/04/2016. - This year SEAT is commemorating the 15th anniversary of its installation in Mexico, a country that has become a key market in the Spanish brand's strategy since 2001, and today is the fourth largest in sales volume, surpassed only by Germany, Spain and the United Kingdom. In 2015, SEAT sold a total of 24,148 cars in Mexico, and closed the year with its second best historic sales result and the fifth year of consecutive growth. In the first quarter of 2016, SEAT deliveries in Mexico are growing at a steady pace, posting a 4.4% increase at over 6,100 units sold. 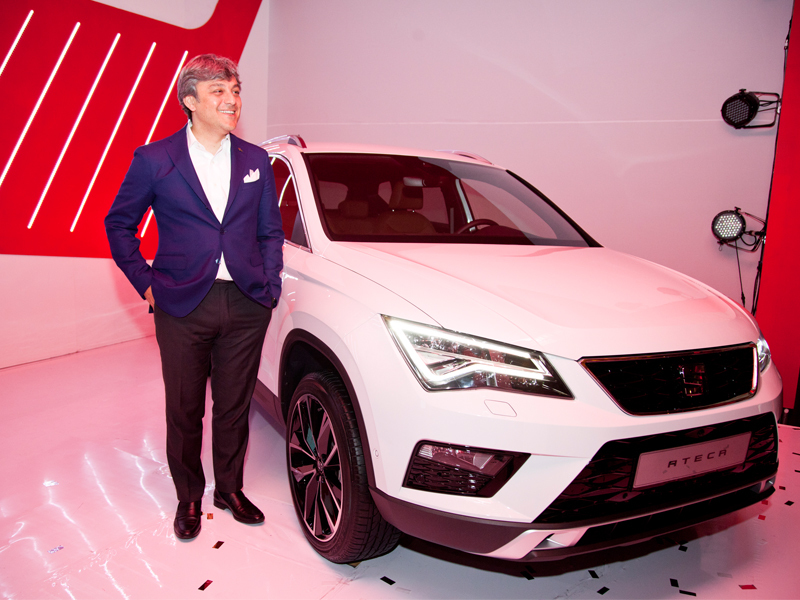 SEAT Executive Committee President Luca de Meo participated in the main celebratory event of the brand's 15th anniversary in Mexico, which was held in Puebla, the company's local headquarters. Luca de Meo highlighted that "Mexico is a key country for SEAT and has made a decisive contribution to the increase in worldwide sales. With the launch of the Ateca and the renewal and expansion of our range, we will be well-equipped to continue the sustained growth path in Mexico we have experienced in recent years". For his part, the brand's director in Mexico, Edgar Estrada, explained that "SEAT has one of the most interesting product ranges on the Mexican market and is diversifying into new segments. Our products offer customers an appealing combination of technology, connectivity and excellent cost-effectiveness". "We are certainly delighted with our achievements to date and for this reason we're steadily working towards continued", he concluded. Members of the dealer network, SEAT Mexico headquarters staff and the media attended the event, which ended with the appearance of the new SEAT Ateca, shown for the first time outside Europe. Sales of the Ateca will begin in Mexico in the first quarter of 2017 and are expected to give the brand a whole new momentum. In this sense, Luca de Meo underlined that "the Ateca is a vehicle that will take us to the next level. The Ateca is SEAT's ambition for growth in a new segment with a high contribution margin. We are very pleased with the way it's being received and are convinced that customer response in Mexico will also be extremely positive". The SUV segment grew by 20% in Mexico in 2015 and already accounts for one of every five vehicles currently sold in the country. In addition, this year in Mexico SEAT will launch special 15th anniversary editions of the Ibiza, Leon and Toledo, the three models being sold in the Mexican market through a network of 59 dealerships located across the country.